Ramadan is a special month to us. We fast from Fajir to Magrib so we can get lots of reward from Allah. Before Fajir we have suhoor and at Magrib we have iftar. The gates of Jannah will remain open throughout the month. The Qur’an was sent in this month. shaitan gets chained by Allah SWT so he doesn't whisper to us. We go for Tarawih after Isha. If you eat or drink or vomit on purpose or you backbite it will break your fast. 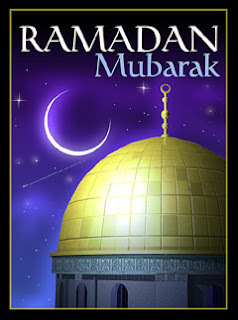 In Ramadan there are 29 to 30 days. After this special month is a special day named Eid where we celebrate the end of Ramadan. Masha'Allah - Isa has done a good job putting together all the important aspects of Ramadan. Isa, may Allah (swt) make your fasting easy, ameen.